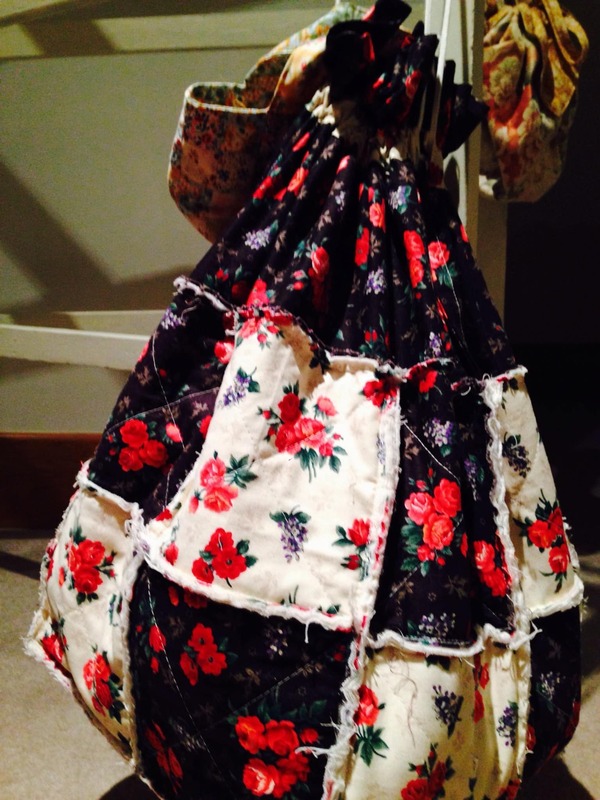 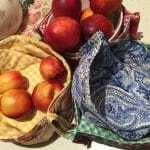 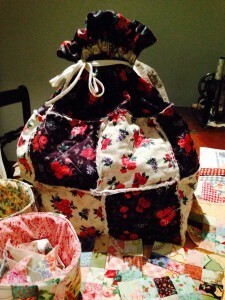 Terrific Textile Tote or Rag Bag. 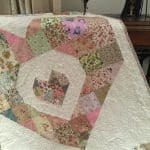 As all good fabric addicts, quiltaholics and hoarders of UFOs will know that there is always, and I do mean always, some project or other under construction. 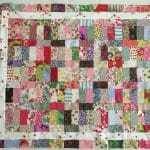 The thing is, when inspiration strikes, you just have to go with it. Having said that, I’m not a fan of unsightly plastic bags with things lost / stuffed into them, never to be seen again. 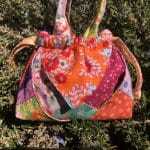 So that’s how I came up with this Terrific Textile Tote. 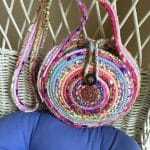 I wanted a big bag, that looks pretty but could definitely store some current or not so current projects. The other thing is… I didn’t want to be all day about it, so that’s when I decided a raw edged bag or, rag-bag would be a good idea. 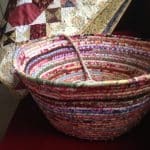 Easy to put together, self lining, internal pockets for tools or patterns and a big drawstring opening for stuffing things in – even a quilt. 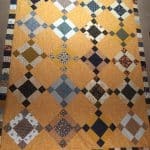 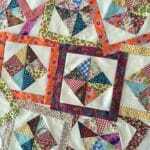 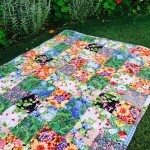 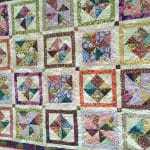 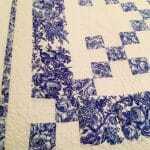 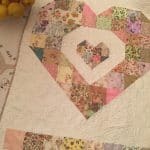 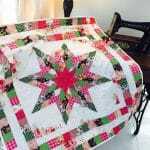 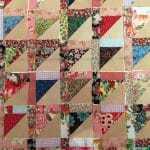 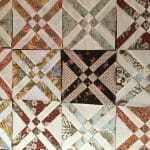 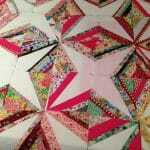 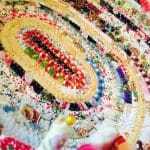 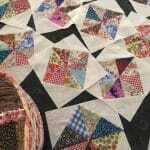 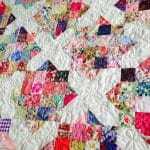 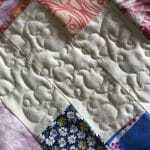 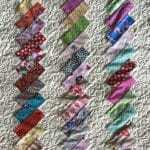 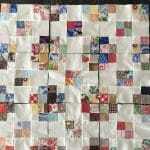 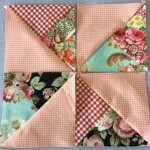 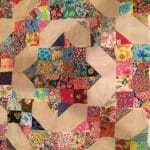 Using Rag quilting block style means it’s a quick project to make. 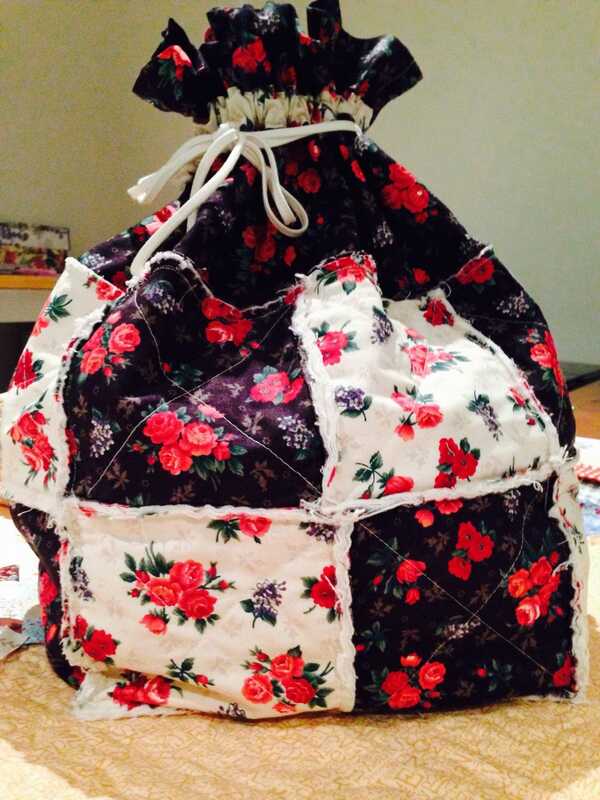 It’s a big square bag. 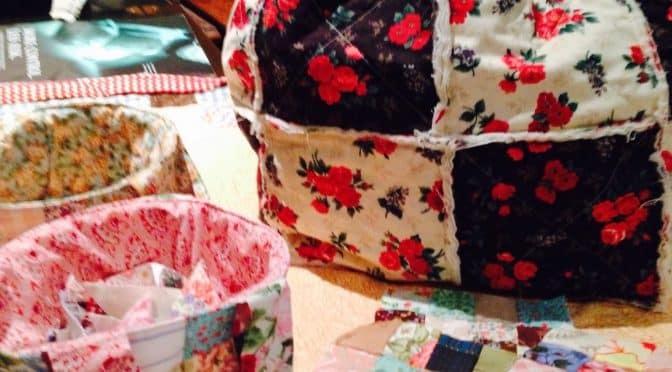 It’s also very portable which means it can be used not just for storage but for active projects, taking to classes or on holidays. 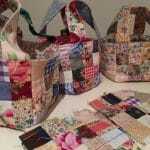 So think about it, use some of that excess fabric to make a Terrific Textile Tote for storing sewing or craft projects for that matter.